Even though orthodontics can correct crooked or gapped teeth and improve a patient’s self-esteem, some are apprehensive to pursue treatment due to the fear of metal braces. However, you can obtain a beautifully straight smile without bulky. metal-based orthodontics. If you are seeking an unnoticeable way to align your teeth, Herbert Birnbaum, DMD, is a certified provider of ClearCorrect, an invisible, removable orthodontic system. ClearCorrect can resolve issues regarding the alignment of your smile while staying within your budget and not interfering with your lifestyle since there are no wires or brackets. Our staff understands cost is part of the decision-making process when choosing any dental procedure. That is why Dr. Herbert Birnbaum provides an alternative to expensive brands of tray-based orthodontics, such as Invisalign® clear aligners. 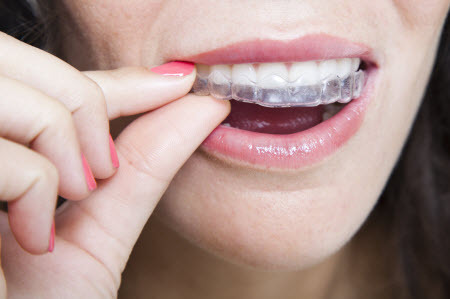 ClearCorrect and Invisalign braces function the same way, shifting teeth into improved positions with a removable appliance, but ClearCorrect allows you to stay within budget during aesthetic dental care. This modern method of teeth alignment is recommended for patients who are worried about their appearance when undergoing treatment. For those who have received orthodontic work in the past and are now suffering relapse, ClearCorrect is the perfect way to regain an attractive smile. Dr. Birnbaum has provided ClearCorrect for years and is skilled at utilizing this system to its fullest potential to meet his patients’ dental needs. Your treatment timeline is dependent on your case, but some patients can achieve a straighter smile in just a few months. Even if you are in need of more extensive care, most patients tend to complete treatment in under a year. ClearCorrect is easy to use and does not require its wearers to avoid any of their favorite foods. Simply remove the invisible braces before eating or drinking anything that isn’t water. When it is time to perform your daily oral hygiene routine, remove and rinse the trays before reinserting them and going about your day. For more information on how ClearCorrect can help you achieve beautifully aligned teeth, call Herbert Birnbaum, DMD. Our Newton Centre dentist will perform an examination to determine how these virtually invisible appliances benefit you.